Subtle pastels and soft textures create a lush, tranquil retreat. The subdued palette and graceful subjects in Anke’s White Doves give this delicate space a sense of charm, character, and whimsy. 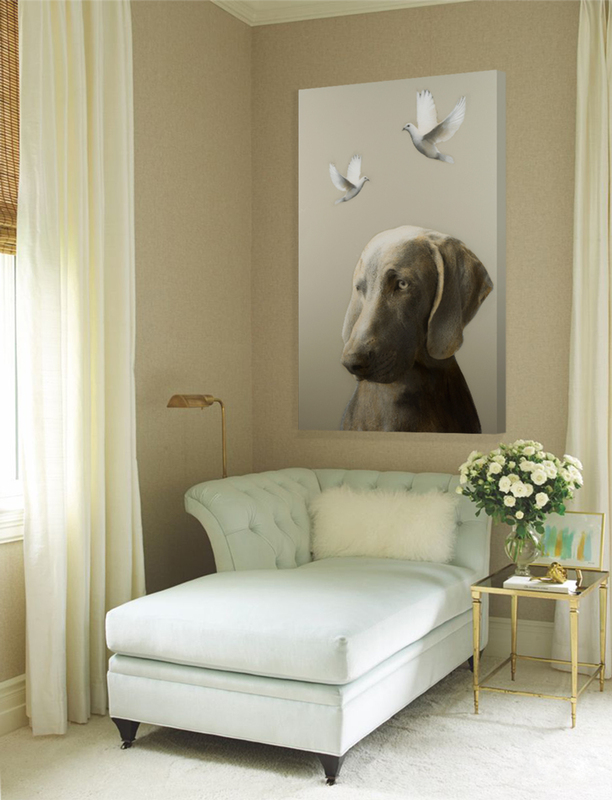 Anke’s textured details of the Weimaraner’s coat adds a tantalizing sense of depth, while the doves above balance the harmonious composition. 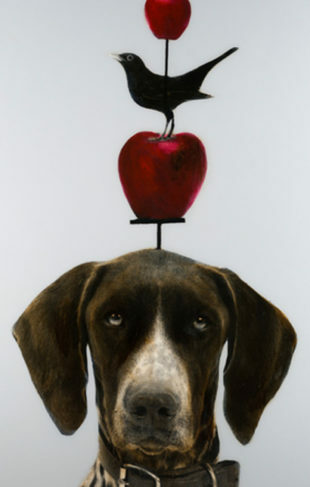 To view Anke’s works in person, visit the gallery nearest to you.